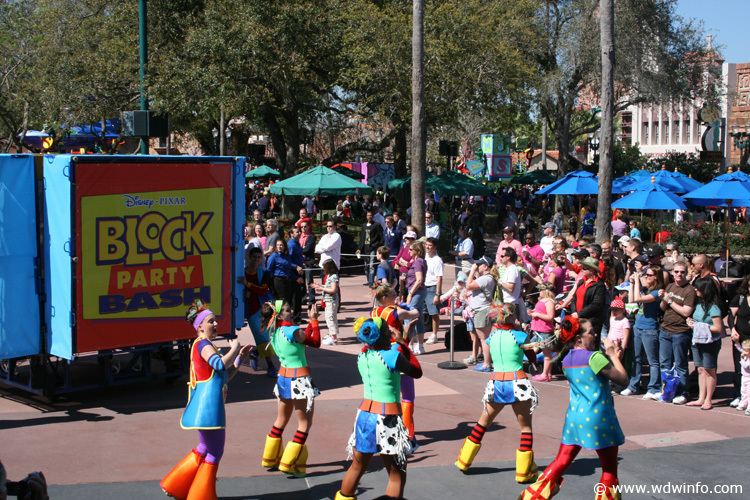 Sunday March 9th kicked off the Hollywood Studios new”Disney/Pixar Block Party Bash”. This was the first sneek peek of the parade. The Official date for the parade is going to be March 14 at 3PM. There are some things you need to know upfront for viewing this parade.